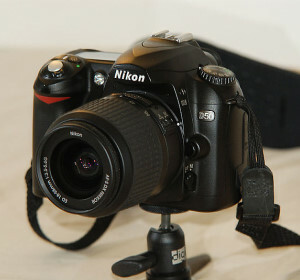 For professional photographers, even semi-professionals, a DSLR camera is a must; it’s a competitive necessity. In the world of amateur digital photographers, shooting with a DSLR is an important decision for beginners ready to “graduate” from a compact to an entry-level DSLR, serious enthusiasts, who want to improve their skills, and students, who expect to make photography a career. Quite likely the beginner has the largest leap from that lower-priced compact to a first-time DSLR. Money is a primary consideration because even the most basic entry-level DSLR could cost three to five times more than the compact with which beginners have been shooting. To justify this expense, and the cost of various accessories that are separate purchases in the DSLR world, the graduating beginner should be serious about advancing their understanding and enjoyment of digital photography. For serious enthusiasts, who may already own an entry-level or mid-level DSLR and want to upgrade, a better camera is the means to pursue their passion for photography more vigorously. They are committed to their hobby and want to learn what professionals know and try to duplicate the quality of their images. Photography students, attending a college-level institution, will clearly need a DSLR to grasp and practice the many digital photography concepts and techniques that are vital to becoming a successful commercial photographer. Regardless of the current level of the photographers, who want to buy their first or a new DSLR, the greatest benefit is the improvement of their skills and techniques. Although compacts and entry-level DSLRs are marvelous digital devices, they have limitations to what can be learned and experienced. A DSLR gives you more ways to be creative. This is obvious benefit of improving your skills and techniques. You have more control of exposure, focus, white balance and other functions and capabilities, eliminating most of the limitations of compacts and entry-level DSLRs to your creativity. Video is a major creative tool on a DSLR. Often, pooh-poohed by professionals as excessive baggage, video capabilities are becoming more important for them, students and creative amateurs. The ability to shoot a multi-media (stills and video) presentation is no longer just a fun activity for beginners and new amateurs to show family images and events. It’s an entirely new artistic capability that requires a DSLR. Plus, better DSLRs include a wider range of video features, such as shooting modes, auto-focus and manual focus during video recording, stereo sound and HDMI output. A DSLR is also an entrée into the enormous choices of lenses and other accessories that make the investment in a better camera wiser and more valuable. Plus, expanded creative opportunities are a direct result of using an ultra-wide-angle lens, for example, or more powerful flash units and other specialized lighting equipment. Another no-brainer of owning and shooting with a DSLR (and the many available accessories) is that you’ll gain experience with more kinds of photography, such as landscape, portrait, nature, sports, architecture, etc. You are very likely to discover an aptitude for one of these types that you never realized shooting with a compact or entry-level DSLR. You’re more likely to develop an individual style when you shoot with a DSLR. Again, this is important for the student photographer because a style is often a competitive characteristic that helps a client to decide to hire one commercial photographer instead of another. A style may not be as meaningful to serious enthusiasts or hobbyists, except that it can be an indicator and positive reinforcement that they are improving their skills. Graduating to your first DSLR or choosing a better one also introduces you to a camera system (whether Canon, Sony, Nikon or any other brands) that makes it easy to upgrade to the next level. Quite possibly the most important benefit of a DSLR is that it doesn’t just permit you to understand and utilize the serious concepts and techniques of digital photography, but also allows you to enjoy the experience more. Enjoyment of a hobby, even at a serious level, is critical to remaining committed to your growth as a photographer and the quality of the images you shoot. The photo is licensed under the Creative Commons Attribution 2.5 Generic license.